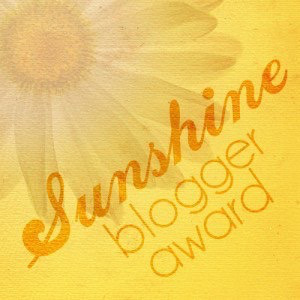 My talented friend, Darren Scanlon of The Pen and the Page, has nominated me for the Sunshine Blogger Award. It’s been such a pleasure reading your poetry and having you as a part of our Blog Battles. I’m also so glad you’re recovering after your bout of pneumonia. I’m sure it will take some time, but we’re all glad you’re back at it and getting stronger every day! 1. Name the best place you have ever visited and why? I can’t say Alaska because I didn’t just visit. I lived there for seven years. There’s a rugged beauty about it that I can’t quite describe. You’ll have to see it for yourself. There is your invitation. Get to it. Otherwise I’ve visited very few places and none do I love so well as home. 2. When commenting on others’ blogs etc., do you tell the truth? Yes. I feel like I should write more, but there’s not much else to answer or explain. 🙂 It’s important to always tell the truth. That doesn’t mean one must lambaste or disrespect another, though! Most of the time I have only positive and encouraging things to say to other bloggers. I started blogging just over a year ago as a means of communicating about my writing, book related milestones, and poetry as well as getting to know more people, and having a central place for people to find me! 4. How long each day would you say you spend on blogging/emails/social media? Too much time! It’s not that I don’t love communicating with people, but it eats into all my writing time. I’m a wife and mom to four, so my time is already spread thin on most occasions. I probably spend (throughout the day) about 2-5 hours depending on the day, sometimes more. 5 . Name your favourite music artist / group? This is gonna sound bad, but I don’t think I have one in particular. I listen to a variety of music, preferring things I don’t have to explain to my children or switch quickly when the language or content is too inappropriate for words. I enjoy most of what I hear, but I don’t have a favorite. If you asked about styles of music, my enjoyment is also incredibly eclectic. Any suggestions anyone? If you had to choose between spaghetti and blood pudding to eat, which would be your choice? You can take only two items with you to the beach, what are they? What phrase do you say the most often that someone close to you has commented on (e.g. “I know right!”)? What is your favorite color, and do you wear it more than other colors?